It’s been a tough week. We were informed last Tuesday that one of Kevin’s cousins who was diagnosed with cancer a year ago had been placed in palliative care. Last we had heard, she was undergoing treatment and was improving so it came as quite a shock. The next day, Kevin went to visit her. He had lots going on, and had considered putting it off by a day, but something told him to go now. The following day she passed away. She left behind a beloved husband and two teenage sons. At the funeral on Friday, we were struck by how precious life really is. It’s so easy to take it for granted. To assume it’s going to last forever and that the people we love will always be around. We get so caught up in the daily grind – in the pressures and demands of modern life. We forget that none of that really matters. Kevin’s cousin taught us what it means to live a full, rich life. She made time for everyone around her, especially her husband and kids. At the same time, she was an incredible contribution to her community through her work and volunteer commitments. She also ensured she was always learning and growing – undertaking various courses or on her own. And she was an amazing mother. A few days before she died, one of her kids asked her to write a list of everything she wanted him to achieve. She replied that it would be too limiting. He can achieve absolutely anything he wants to and writing a list would only serve to restrict him. Unfortunately it often takes a tragedy to shake us out of our ‘some day one day’ mentality and wake us up to our own mortality. All we have is now – so don’t put off that text or that call or that visit or that holiday any longer. 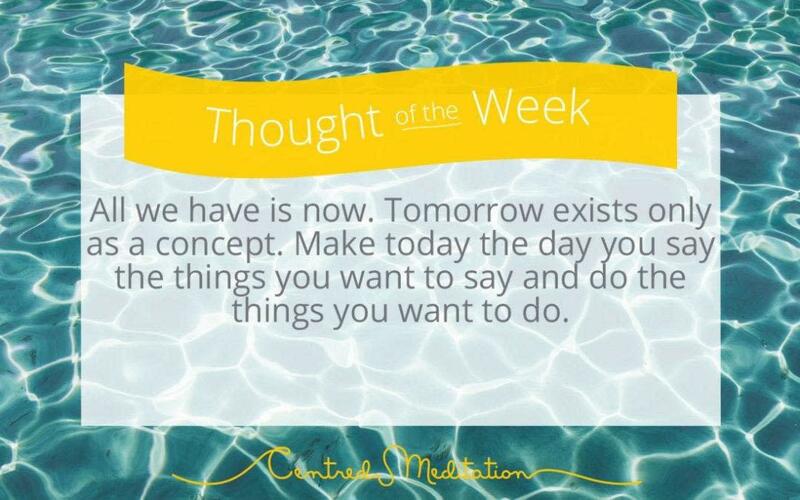 Make tomorrow today!